Europe’s largest utility conference kicks off next week and brings together approximately 12,000 international visitors, 450 speakers and 600 exhibitors over three days in Barcelona. European Utility Week 2016 promises something for everyone with topics covering grid optimization, renewable energy, energy storage, smart metering, smart cities, smart homes, smart buildings, data management, analytics and IoT, cybersecurity and more. Joined by Intel executives, partners and customers, the Intel team will showcase several live demonstrations that will show how to improve efficiency, security and reliability with increased grid digitalization and IoT solutions. 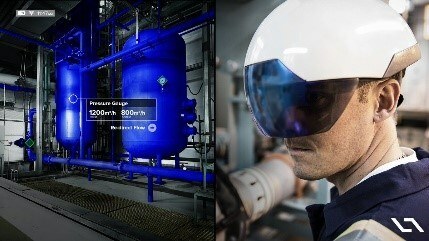 When you stop by our booth, you’ll get to explore go-to-market and ecosystem opportunities, see the latest augmented reality technologies and discuss industry issues and emerging trends with our experts who can show you what the connected worker of tomorrow will look like. After several hours on the show floor, you might be needing some energy and so may your smartphone. Stop by Intel’s booth, 3F148, and pick up what’s sure to be a hot commodity at this year’s conference—a USB device charger for today’s popular smartphones. We’re looking forward to seeing you in Barcelona. Follow us on Twitter at @GridInsights for updates. Questions? What are you most looking forward to seeing during this year’s conference? Tell us in the comments section below.